Brain arteriovenous malformation (AVM). 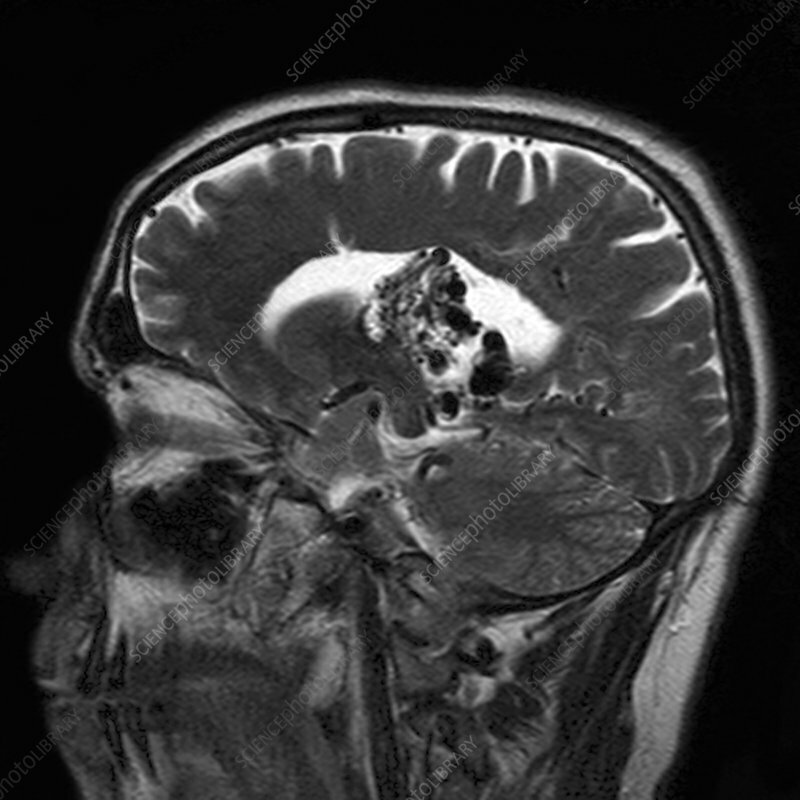 Magnetic resonance imaging (MRI) scan of a sagittal (side) section through the brain of a 31 year old man. The image shows a right thalamic AVM as a dark grey tangled mass on a white background (centre). The black areas within it indicate the damage caused by the AVM; they are flow voids, areas that no longer receive blood flow. An AVM is a congenital malformation of the blood vessels (arteries and veins) that can rupture and bleed inside of the head and cause seizures, headaches, stroke-like symptoms, and other fatal complications. MRI uses radio waves and a magnet to obtain "slice" body images.